Good news, everyone. Troma Entertainment has just released 150 of its movies for free on YouTube. This includes films they just distribute, and not necessarily make. 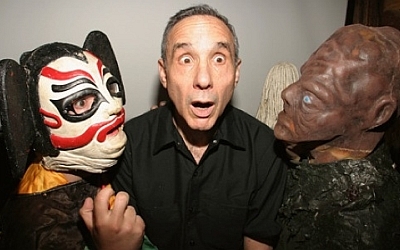 Troma founder and director Lloyd Kaufman is a genius. Kaufman definitely knows that the internet and free video helps the film business. This is amazing news. CLICK HERE FOR THE TROMA YOUTUBE SITE!!! I am proud to say that I am the owner of at least 15 Troma titles, and that collection is ever growing. I’ve embedded a couple of films to get you started. This entry was posted on Friday, August 31st, 2012 at 3:22 pm	and is filed under Film, News. You can follow any responses to this entry through the RSS 2.0 feed. You can skip to the end and leave a response. Pinging is currently not allowed. « Robin Williams Might Be Headed Back To Television!!! Come on Mr. Treasury man, ARREST ME!